This Colonial style night stand will give your room that sense of Early American decor you have always wanted. The two cabinet doors offer lots of bedside storage space. We offer hardware and drawer slide options for this night stand. 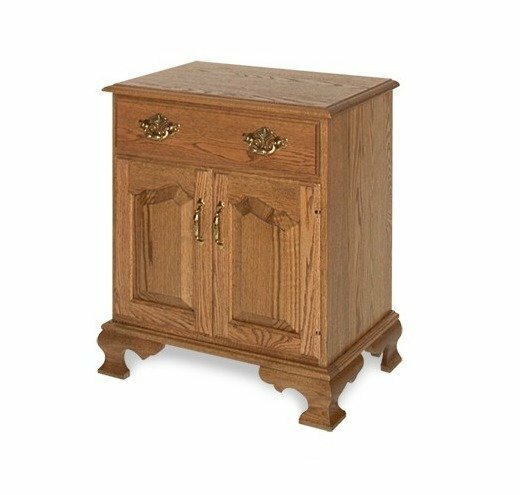 This Amish nightstand is available in oak or cherry wood as well as a variety of finish options. After an order is place, we send out finish samples to confirm your selection.